What a summer without a jumping castle, kids are always happy to have some fun. We are teaming up with some of the BEST blogs on the web to bring you this AWESOME giveaway! 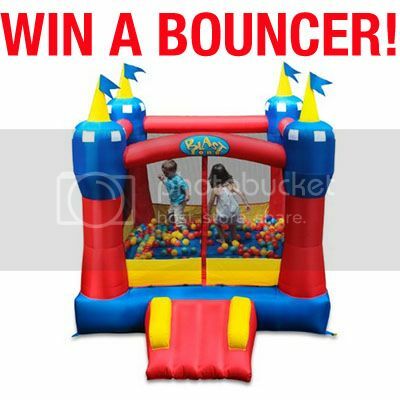 We are giving away a bounce house! Blast Zone has sponsored this giveaway, and they want YOU to win! Winner will be chosen randomly on June 25 and notified via email. Open to US residents only. Winner will have 48 hours to claim their prize or another winner will be chosen. This sweepstakes is in no way sponsored or endorsed by Facebook, Twitter, Pinterest, Instagram or Google+. Sponsored by and prize fulfillment handled by Blast Zone.